The fact that the average salaried workers are ready to buy into properties many times their annual income is food for thought. LONG-TERM sustainable house prices ought to be determined by two key fundamentals household income and rental returns. The relationship between household average annual income and property prices is an important one as it measures affordability levels. If the average annual household income in the Klang Valley is RM72,000, this means the family can afford a house that is three to four times the annual income; that is, a property priced between RM216,000 and RM288,000. This is just a rough guide. If commitments are high in other areas, they may not be able afford a property priced within this range. For a long while in Malaysia, this number hovered between three and four times. In the United States, it was about eight times in many of the overpriced cities just before the financial crisis hit the property market. Last year, certain parts within Petaling Jaya began to inch up to five and six times. 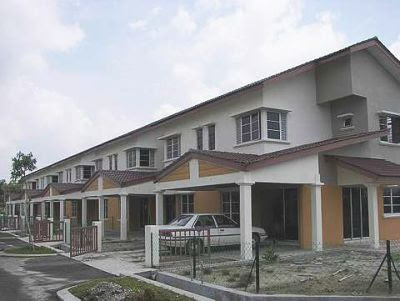 This means households had to fork out more in order to buy properties priced between RM360,000 and RM432,000. At that time, the property consultant who did the study said that at five to six times, this was still managebale and was not a cause for concern. About two months ago, another study was done by the same consultant. This time, more areas within the Klang Valley were included. It was during the course of this study when it was found that within the Klang Valley itself, the prices of certain locations have gone up far ahead of others. This is not something new, all of us know that. But what is startling is that property prices that used to be five to six times a household's annual average income has gone up to 11 times about two months ago. While Kajang continues to have a household income/property price ratio of 4 times, in other parts of the Klang Valley, this has gone up to as high as between 17 and 20 times in some areas. There is a caveat: all of this is viewing house prices from an average household income of RM6,000 a month or RM72,000 a year. As with the use of any statistics, there is always a margin of error. The prices of properties are for all to see in the classifieds. The question is: What is the average income in the Klang Valley? The company which did the study used RM6,000 as an average monthly income in the Klang Valley. Another property-related professional said it is about RM7,500 a month, while an economist says it is slightly more than RM4,000. The figure varies even more for different states (see table Monthly average household income by state on page 24). The fact that we, the average salaried workers, are ready to buy into properties that are many times our annual income is food for thought and cause for concern. The other fundamental governing house prices is rental returns. In most of the areas that were included in this analysis between house prices and household income and rental returns, the trend is clear over the last 10 years, the returns are dropping. In many of the areas where prices have increased, the rental returns of the typical terrace house have dropped below 3% net. In some areas, it is about 2% net. With the situation the way it is today, real estate professionals are calling for the authorities to put in place greater measures. In China and Singapore, various measures have been put in place to cool prices the past year or so. Since last year, the Chinese government has introduced a series of policy measures to cool the market. This includes raising interest rates, raising down-payment requirements, directly restricting home purchases, imposing price control targets in Beijing and Shanghai and finally charging a real estate tax, albeit on a trial basis, in Shanghai. Nevertheless, prices remain stubbornly high. Early this year, the Singapore government required those who buy, and sell, residential properties within four years to pay a stamp duty, up from the previous requirement of three years. Other measures include making it mandatory for individual buyers, who are still servicing an existing loan, to borrow only up to 60 % of the new property's value, down from 70% previously. For corporate investors, the loan-to-value limit has been cut to 50%. What is emerging today is Chinese developers and owners of malls are now offering investors their assets. According to a fund which is on an acquisition trail in Asia, the company is looking at commercial properties at a “flow rate” of one property a day, which, according to the source, is very high. These developers and owners essentially want to make their exit. In the commercial segment in Malaysia, developers here are also beating a path to the same fund to sell their assets. Thankfully, not at a flow rate of one per day. Assistant news editor Thean Lee Cheng is wondering what it takes to douse this madness.